MONIL, 04 Jun 2008i like this phone very much bcz of it's nice design, excellent music & radio playback quality.... moresame experience like me!!! where did i can get another 3300 phone huh? i've used this phone for almost 3years since it has been launched. but i've lost it.. very2 superb simple music phone to me. i like it very2 much.. hard to find another one.. starz++ for this phone. very bad design looks like a gameboy!! Well,I'm back into this phone again. Still looking for ANY proven brand of MMC or MMC Mobile card that will work flawlessly with this little wonder.As my previous post that K*ngst*on 1Gb MMC didn't work with this.So what will? who says hang..i use 1 gig and the system is normal only it slows a bit. Make sure you update with latest firmware. The Music direcory can only handle 99 songs...That is, if you put more, the player can only handle the first 99 songs. There is a work-around, however, you can also drop around 80 songs in the root directory of the card(just open the music directory and then press the "up" button on the explorer yu are using), which should pretty much fill up the MMC... And enjoy your 3300, 'cause I miss mine! i m using 1gb card with this phone.it shows songs(track list) only up to 99,not beyond that..actually there r more than 150 songs.can any body tell me about that.?? No!, there are 1st 1phone to have Fm recording fuction, But this is the 1st Nokia Music phone (not colored) the unit is Nokia 5500 i had it when i was grade6 i think now im 4thyear 5500 is realy nice to me having a 1st Radio phone@ that time.search it to see it. from what i know this is the only nokia model with recording radio function and selected equalizer for radio. After that there's no model like it announced yet. Thus is is what makes it as classic. Now Nokia trend is to launch the classic model with great improvement function. 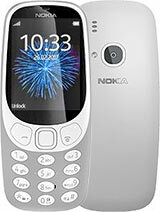 Hoepfully this model will one of the classic category (Nokia 3300 Classic). can anybody tell me,is there any other phone in market beating 3300 in music quality with fm recorder? i had one which is 4years old and surpricingly its still working.the music player is the best with gr8 sound output.though quite bulky,overall a superb music phone from nokia.